Here are some before and after photos from a office carpet cleaning done Chem-Dry of Tampa FL. 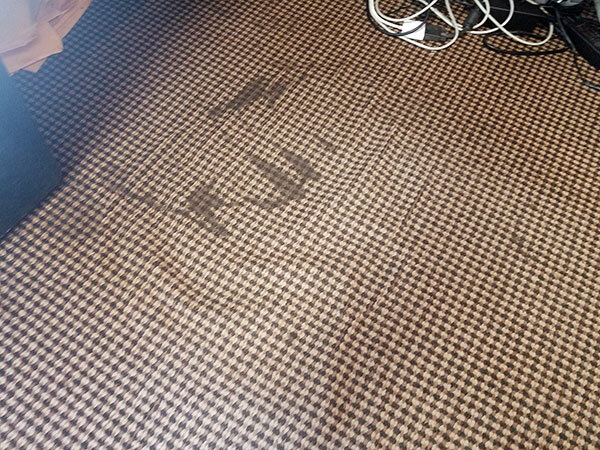 This coffee stain was located behind the reception desk on some very loose carpet. The carpet is traditional glue down carpet but the adhesive had given way because the office chair had wheels. Over time the rollers crushed the adhesive that held the carpet in place. Just like kneading bread dough, carpet got flattened and spread out. 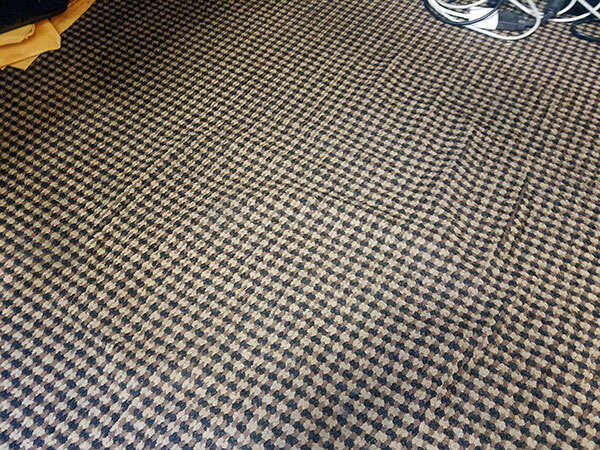 Loose commercial carpet can be very difficult to get clean because of lack of tension in the carpet when it is extracted. Fortunately, at Chem-Dry of Tampa FL we use a rotating extractor that adds tension to the carpet as it clean. This carpet tension adds exceptional cleaning power by maximizing moisture extraction. We can pull out more soil and spots do to the larger extraction area. This all translates to a better cleaning with faster dry times than a traditional steam cleaning. Providing the best office carpet cleaning possible with the fastest dry times in the industry. For office carpet cleaning in Tampa FL call Chem-Dry of Tampa.